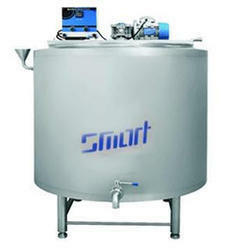 Providing you the best range of pasteurizer vat and ageing vat with effective & timely delivery. We have marked a distinct position in the market by offering a broad range of excellent quality Pasteurizer Vat that is the ideal machine for mixing & storage of ice cream mix at certain temperature level. 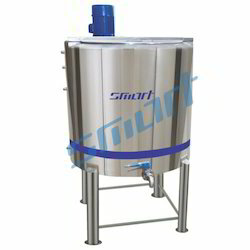 This pasteurizer vat is precisely manufactured using quality tested components and ultra-modern technology under the stern direction of an adroit team of professionals. Manufactured in strict adherence with the international quality standards, this pasteurizer vat is available in diverse technical specifications and is offered at the very affordable price to the clients. Under the strict supervision of our skilled professionals, we are offering an exclusive range of Ageing Vat that is the ideal machine for mixing & storage of ice cream mix at certain temperature level. The offered ageing vat is made available in varied technical specifications as per the requirements of our prestigious clients. This ageing vat is highly appreciated by our honourable clients for its long service life and sturdiness. Clients can avail this ageing vat from us at the most reasonable price.